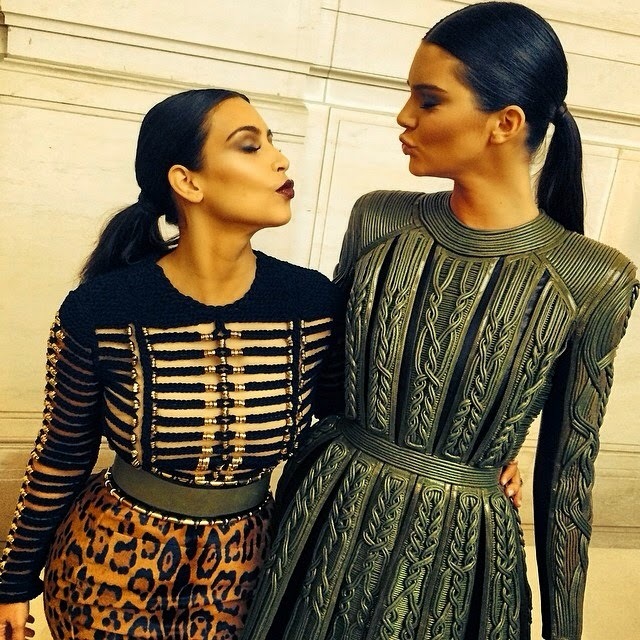 Kim Kardashian and Kendall Jenner strike a pose while attending the Vogue Foundation Gala held as part of Paris Fashion Week on Wednesday (July 9) at Palais Gelliera in Paris, France. The sisters were joined by Kendall‘s fellow Balmain Army models - Binx Walton, Ysaunny Brito, Issa Lish, and Amanda Wellsh. The fashion house’s creative director Olivier Rousteing also was in attendance with his group of gorgeous gals.